Richmond, California. World War II. Homicide detective Oliver Wright comes home from the war in the Pacific injured and afraid his career is over. But when an Italian Prisoner of War is murdered the night the Port Chicago Mutiny verdicts are announced, and black soldiers are suspected of the crime, the Army asks Oliver to find out the truth. He joins forces with an Italian POW captain and with a black MP embittered by a segregated military. During their investigation, these unlikely allies expose layers of deceit and violence that stretch back to World War I. 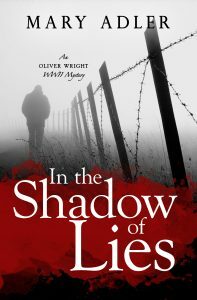 In the Shadow of Lies reveals the darkness and turmoil of the Bay Area during World War II, while celebrating the spirit of the everyday people who made up the home front. Its intriguing characters will resonate with the reader long after its deftly intertwined mysteries are solved. San Francisco, 1944. Oliver Wright, a homicide detective on medical leave from the Marines, is investigating an attempted murder at the Presidio when the Army asks him to guard Sophia Nirenska, a Polish resistance fighter who survived the Warsaw ghetto uprising in Poland and is touring America to raise money for children hidden from the Nazis in Europe. Neither is happy with the assignment, but after a car deliberately hits Sophia, they reluctantly agree that he should travel with her to Petaluma where she hopes to get the help of Jewish chicken farmers. She insists political enemies want to silence her, but Oliver believes the motive is more personal and connected to the woman found in the Presidio. He and his German shepherd, Harley, try to protect Sophia, but she insists on doing things her own way—a dangerous decision that puts them both in mortal danger. When Oliver rescues a girl and her dog who are running for their lives, he finds the key to the dark secret at the heart of the threat to Sophia, a secret with its roots in Poland. When he does, he is forced to choose between enforcing the law as he knows it—and jeopardizing Sophia—or accepting a rougher kind of justice. While this fast-paced mystery illuminates the fears and troubles World War II inflicts on many groups of people, it is also a story full of love, kindness, and a celebration of the gift of finding family among strangers. 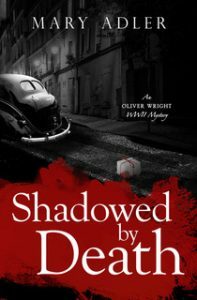 Shadowed by Death will appeal to readers interested in northern California, World War II, the destructiveness of totalitarianism, the bond between people and dogs, and communities that celebrate food and friendship. 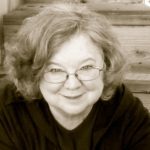 It has received a starred review in Publishers Weekly and was a finalist for the Daphne du Maurier Excellence in Suspense and Mystery Award. Readers Views Reviewers Choice Awards — First Place, Mystery/Thriller/Suspense/Horror; First Place West-Pacific Regional; Jack Eadon Award for the Best Book in Contemporary Drama.